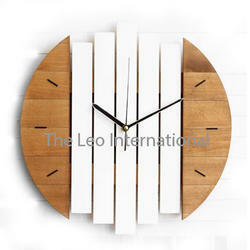 Wooden Clock is more than just decorative accessories for your home it is also a beautiful product which shows you time. 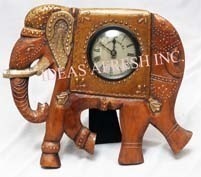 HOME DECOR AND GIFTING ITEM. Wooden Brass Antique Finish Round Wall Clock. High finish wooden base collage clocks with Glass top over dial and with metal number dial - adding to the simle and elegant beautiful look. More shapes/designs can be customized as per requirement in case of volume order.